Massachusetts’ largest hospital system, Partners HealthCare, has halted merger talks with the insurer Harvard Pilgrim Health Care, bowing to the reality that a deal would be extremely difficult if not impossible to pull off in a state where Partners has long been under the microscope. In an interview with the Globe, Partners’ chief executive did not rule out future negotiations. But he said the deal was getting too complicated and acknowledged that it was bound to face a tough review from regulators. “Now isn’t the right time to try to push something like that ahead,” Dr. David Torchiana said Thursday at Partners’ executive offices in Boston’s Prudential tower. “I don’t think either organization is sure that it’s something that’s actually possible to achieve . . . in this environment right now where there’s such intense scrutiny of every move,” Torchiana said. While Torchiana had been enthusiastic about a potential deal, other top executives in the Partners system were less convinced that it would have been the right move. Harvard Pilgrim’s chief executive, Michael Carson, said in a statement that the insurer would “continue to evaluate opportunities for collaboration with Partners” to manage costs and improve the patient experience. When the merger discussions between the two companies were first reported by the Globe in May, health care experts puzzled over the potential benefits of such a deal and raised concerns that the transaction could decrease competition and increase costs. Governor Charlie Baker was skeptical, and Attorney General Maura Healey — whose office plays a critical role in approving mergers — privately raised concerns about the deal. “Why would this be good for the health care system overall? . . . What’s the rationale?” Baker told reporters in May. The governor is a former CEO of Harvard Pilgrim. Nancy Kane, a professor at the Harvard T.H. Chan School of Public Health, said Friday that it would be “crazy” for regulators to permit a union of Partners and Harvard Pilgrim. Hospitals, physician groups, insurers, and other health care companies across the country have been forging deals as they pursue new strategies to grow and manage costs. In some cases, these deals involve companies trying to gain a foothold in different sectors of the vast health care market. CVS Health, for example, is acquiring the insurance company Aetna. In Massachusetts, Beth Israel Deaconess Medical Center and Lahey Health have been planning a big hospital merger to more aggressively compete with Partners. Critics worry the deal would raise costs for consumers and could widen disparities. But the merger appears on track to receive final approvals from regulators, though with conditions. Partners’ past deals have been highly scrutinized. The nonprofit health system tried to acquire community hospitals in Weymouth, Medford, and Melrose, but it abandoned those deals in 2015 over concerns that the transactions would raise costs and limit competition — and the threat of a legal challenge from the attorney general. After that experience, Partners executives acknowledged their options to expand in Massachusetts were limited, and they focused more on deals outside the state. Partners is the parent organization of a dozen hospitals, including the large academic medical centers Massachusetts General and Brigham and Women’s. Partners already owns one insurance company, Neighborhood Health Plan. Wellesley-based Harvard Pilgrim, with 1.2 million members, is the state’s second-largest commercial insurer, behind Blue Cross Blue Shield of Massachusetts. Top executives from Harvard Pilgrim and Partners spent several months discussing different options, including the potential acquisition of Harvard Pilgrim by Partners. Harvard Pilgrim’s former chief executive, Eric Schultz, left the company unexpectedly in June after engaging in behavior “inconsistent” with company values. (The company did not detail his inappropriate behavior). Carson, who held another role at the company, was promoted to CEO. Torchiana said that leadership change did not lead to the pause in merger negotiations. “I think the complexity of it was really what gradually crept up on us,” he said. WBUR first reported the stalled merger talks, citing unnamed sources. Neighborhood Health Plan, which has been part of Partners since 2012, primarily used to serve low-income individuals on Medicaid. But after suffering huge financial losses, it changed strategies. Low-income individuals now represent a fraction of its business, and Neighborhood is working aggressively to sell insurance plans in the more lucrative commercial insurance market. Neighborhood is also preparing for big changes: It will get as many as 100,000 new members in January, when Partners puts Neighborhood in charge of administering health benefits for Partners employees and their families. The insurer is also rebranding as AllWays Health Partners. Dr. Paul Hattis, a professor at Tufts University School of Medicine, said it’s simpler for Partners to try to grow its existing insurance business rather than trying to acquire another, much larger insurer. “Maybe their strategy is: ‘Let’s rename Neighborhood to AllWays . . . let’s try to grow it, let’s see where that takes us,’ ” Hattis said. Earlier this year, Partners took over the specialty hospital Massachusetts Eye and Ear, where it had a longstanding clinical affiliation. 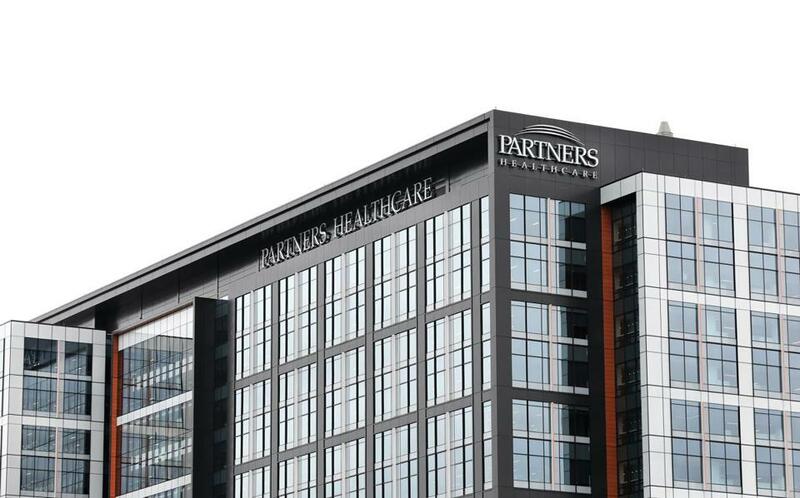 Partners is also working to acquire Care New England Health System of Providence, in what would be its largest out-of-state deal. That transaction still needs approval from regulators. But Partners’ talks with Lifespan, another major health care provider in Rhode Island, have been called off. globe.com. Follow her on Twitter @priyanka_dayal.